Poe Dameron WISHES he had a sweet backpack missile launcher with him when he was attacked by First Order Forces. Instead of getting caught by Kylo Ren, he could have just blasted his way to freedom. Of course, if that had happened, then Star Wars: The Force Awakens might have a been a much different movie and we may never have gotten the chance to meet Rey, Finn or any of the other cool characters from the movie. In that sense, we’re glad that he didn’t have some heavy artillery in the movie. Not this action figure set though. 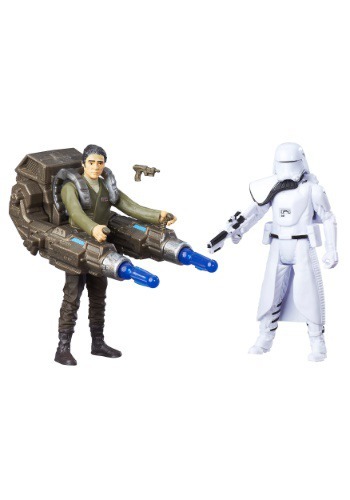 A giant backpack missile launcher is the best thing that could’ve ever happened to this Poe Dameron figure. 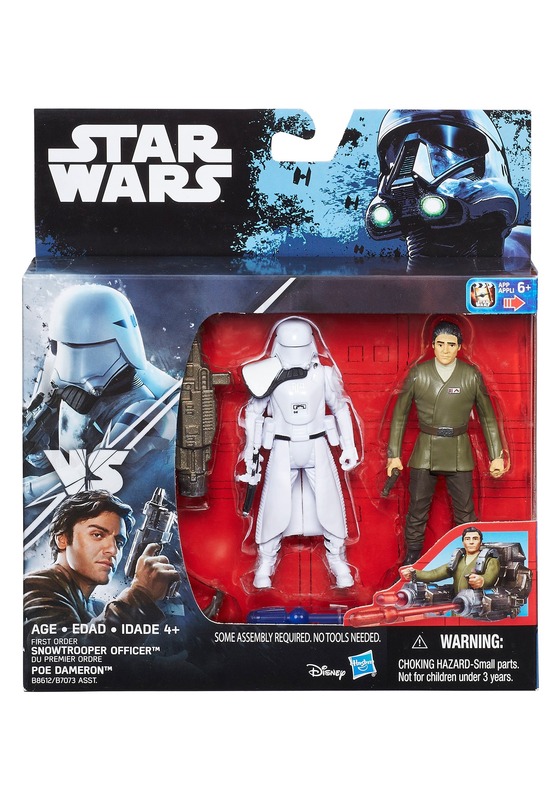 This Star Wars action figure 2-pack comes with Poe Dameron and a First Order Stormtrooper in Snow Trooper gear. 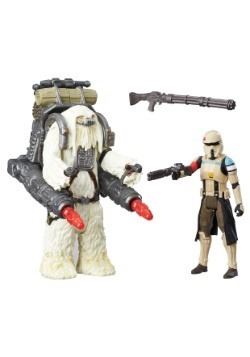 Now, the Stormtrooper figure comes with a blaster rifle accessory, while the Poe figure comes with an in-your-face, heavy artillery, missile shooting backpack. 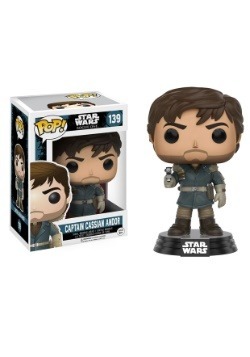 You can make the two figures engage in epic battles, but we all know that Poe’s got this one in the bag.